In this Definitive Review, the Team at EnterpreneursGateway.com have tested 1&1 Web Hosting to the ABSOLUTE MAX! They’ve left no stone unturned to help you to decide if it’s the right web hosting choice for your website. Do they really provide all the solutions you need? Can their features outweigh the competition? If you’re looking for a web hosting provider, then this review is a MUST! 1&1 uses a powerful Content Delivery Network (CDN), which is great as it means that pages are loaded via the nearest data center located to them which guarantees super-fast loading speeds together with overall enhanced performance. 1&1 offers basic plans and more advanced ones which cover all types of user. The basic plan at $0.99 per month is by far the cheapest I have seen on the market today. 1&1 offers low-cost hosting together with easy email setup, website building, and domain transfers. It is easy to use and perfect for beginners more advanced users alike. 1&1 offers 24/7 telephone and email support; they don’t, however, offer Live Chat. 1&1 web hosting is at present, one of the most established hosting brands within the industry – having almost 30 years’ worth of experience under their belt. In this detailed hosting review, I will put 1&1 through our rigorous testing and will look at the following aspects. Performance: How fast will your website load using 1&1 and what measures have been put into place to ensure your website is available to your customer/ prospects without any downtime? Usability: Does 1&1 offer everything necessary when building your website? Cost: Does 1&1 offer the best pricing within the marketplace? AND more importantly, what deals are available that can help you save money? 1&1 Internet was founded in 1988 and is a web hosting company and is owned by United Internet, which is a German internet company. The CEO of 1&1 is Eric Tholomé, and the company is one of the world’s biggest web hosting companies, which employs over 7000 people worldwide. It has offices in 10 countries with data centers in both Europe and Lenexa, Kansas. Their European base makes them an attractive option for those of us who live in the UK, while their high-tech hosting at a low-level costing makes them perfect for advanced users who are seeking a plan above the newcomer-friendly solutions. 1&1 offers cloud servers, domain registration, dedicated servers and virtual private servers (VPS) as well as the drag and drop templated product, MyWebsite along with shared hosting packages on the Windows and Linux platforms. Customers can only complete orders via the UK website providing they have a UK address; other customers may have USA Kansas or German hosting depending on which website was for ordering. There is also a site available for Spain, France, and Mexico. Back in 2006, 1&1 estimated that it hosted the most websites out of all other companies in both the United Kingdom and Germany and the seventh-largest number amongst web hosting companies in the US. For those who are looking for a web host that is rich in features yet at the same time affordable while still offering a wide range of packages which include cloud, shared virtual private server (VPS), dedicated hosting and WordPress then 1&1 is the web host for you. During my recent testing for this review, I did note that there was some downtime, which was slightly disappointing, as impressive uptime had been previously what had helped propel 1&1 to the top picks as a WordPress based host. 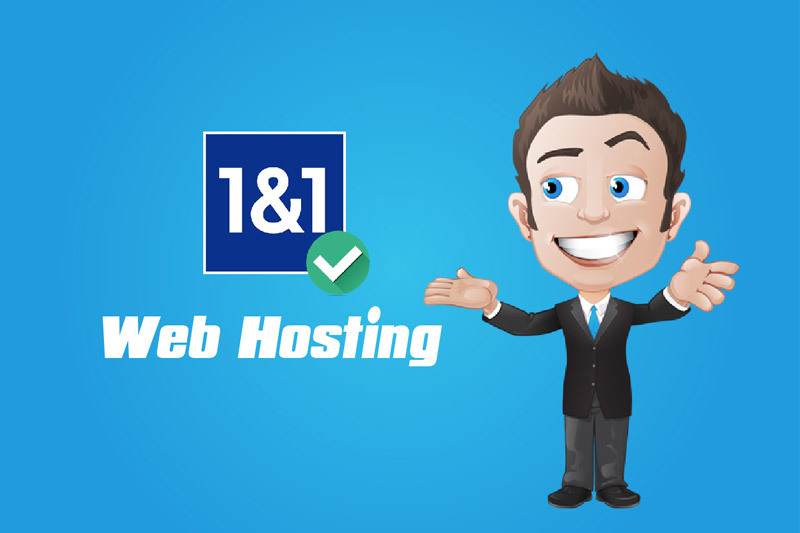 1&1 is definitely a web host that newbies should consider due to its website creation tools that are easy to use and its excellent customer support. So, who is 1&1 most suited to? It is perfect for beginners and techies as it offers some of the cheapest hosting options available. Growing websites due to their scalable performance features that are incorporated into all webs hosting plans. So, what is the difference between 1&1 and their nearest rivals? Well, apart from they are European based rather than the US, the other significant difference seems to be their target audience. A number of companies (for example SiteGround and iPage) focus their services principally at beginners as well as those users who are looking for a simple, quick and stress-free way to both build and run a website – this is something that 1&1 DOES NOT do. I mean, they don’t say this outright, but it quickly becomes apparent when spending any period of time with their unlimited hosting plans that their target market is more for intermediate and advanced users. 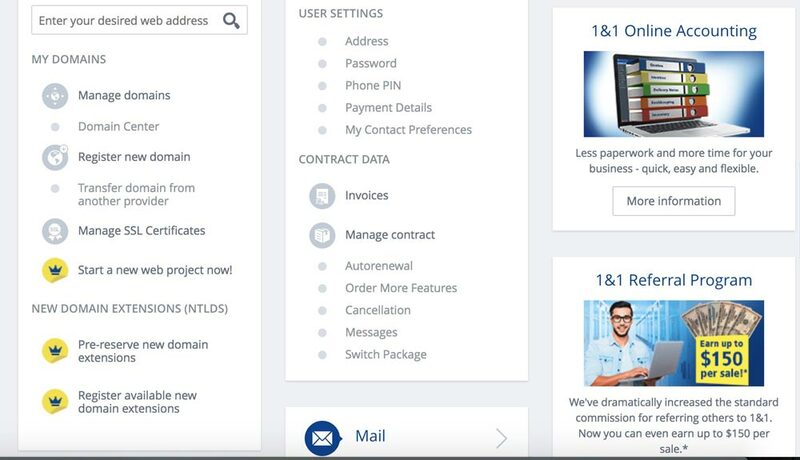 It is further reiterated by their own control panel which itself deviates from vDeck and cPanel’s standard models, the tech support reps who assume high levels of technical knowledge from their customers, and their preference of high performing technology over simple to use tools, which generally is more suited to those who have some form of previous experience of working with a hosting company rather than newbies looking to create their first website. Now, I must be honest, the unlimited shared hosting plan offered by 1&1 does have issues; however, reliability and performance certainly aren’t one of them. I’m sure you already know that delivering consistently high levels of uptime via web servers which then deliver your website to browsers at optimum speed really are the backbone for web project success – and this is something that 1&1 uses as one of their main selling points. 1&1 implements geo-redundancy technology. This involves running a shared hosting plan concurrently via two separate data centers. The great thing about this is if one experiences issues, then the other will kick in automatically, which then eliminates most downtime issues and keeps sites hosted by 1&1 online and running more consistently than most of its competitors. 1&1 uses a powerful Content Delivery Network (CDN), which is great news as it means when visitors drop by to your website, the pages are loaded via the nearest data centre located to them which guarantees super-fast loading speeds together with overall enhanced performance and when combined with 1&1’s powerful SiteLock tool and ultra-efficient Denial of Service Protection System is super amazing. All reports have been positive with sites being readily available and always performing at their optimum best. So, if you’re fed up with slow loading speeds and the amount of downtime that your current host offers then 1&1 is definitely one to consider. So, are there any uptime issues? One of the most important aspects of a website hosting service is uptime. If your site is down, this then results in your customers and clients not being able to access your services and products. So, for this testing, I decided to use a website monitoring tool which tracked my 1&1 hosted test site’s uptime over 14 days. Every 15 minutes, the tool would ping my site and then send me an email notification if it was unable to contact the site for at least 60 seconds. Well, over the test period of two weeks, the data revealed that 1&1 did go down eight times. Now, none of the downtime occurrences were lengthy (e.g., no longer than 2 minutes), however, what this highlighted to me was that perhaps there were some issues with 1&1’s reliability. I did a bit of research and found that other hosts appeared to be more stable, such as HostGator and DreamHost with their downtime incidents being at or near zero. That said, 1&1 does have a guarantee of 99.99% uptime which is all down to their geo-redundant servers. If 1&1 fails to provide their set level of uptime, then you may be eligible for a web hosting credit. So, what are the first steps if you decide that you DO want 1&1’s quality hosting. To begin with, have a look at which hosting package is most suited to your needs (check this out in the ‘costing’ section of this review. Once you have decided which tools, features and capacities you require, use the 1&1 Domain Check in order to register your preferred domain name. Once you have chosen your free domain, you are then able to start building your website using the MyWebsite application. By using the pre-built templates, you can easily and quickly design an eye-catching website without the use of advanced CSS or HTML knowledge. For those that already have a website, then they are easily able to transfer their domain to 1&1 with a few simple steps. What does the Basic hosting package include? This includes a FREE domain name which you are able to keep for as long as you use 1&1. It offers up to 2GB of RAM, storage of 100GB, 500 email accounts, unlimited website building tools and monthly data transfers. 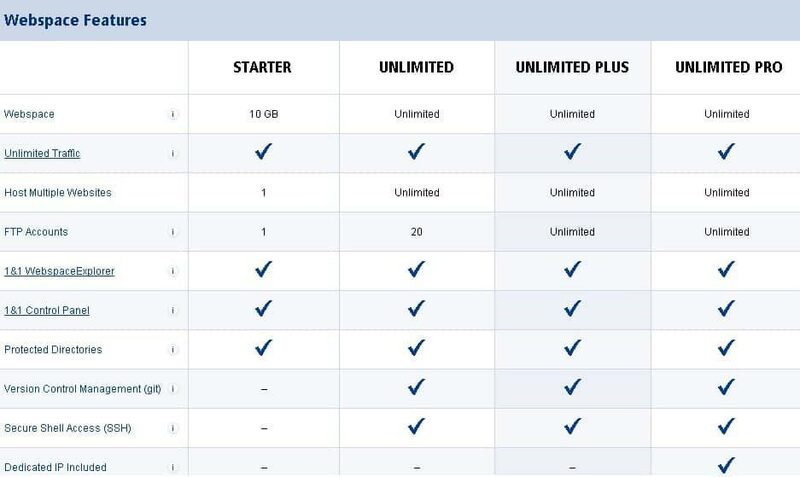 The Unlimited Plus plan includes unlimited storage, databases, domains, email as well as up to 6GB of RAM. 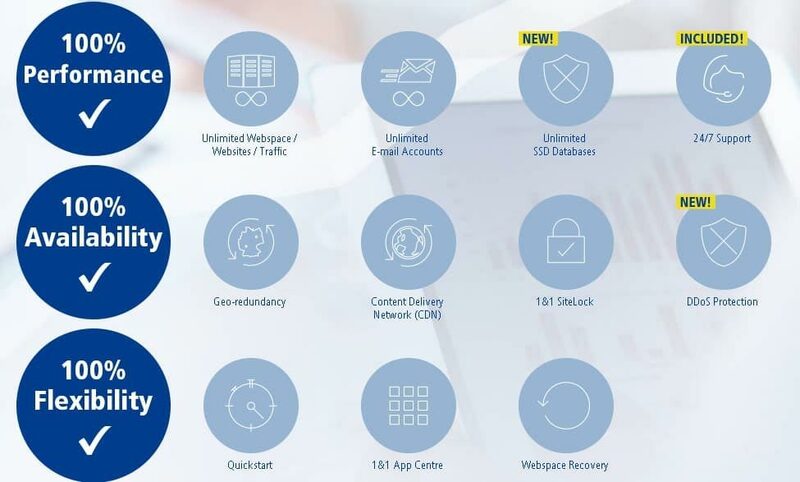 Unlimited Pro will get you 9GB of RAM, a 1&1 mobile website builder plus a Content Delivery Network (these are a connected system of cached servers which increase page speed). Cloud hosting is becoming REALLY common. It’s different from traditional hosting as it spreads resources across several servers, whereas traditional hosting pulls its power from a single one. 1&1 has embraced this and now offers several tiers of both unmanaged and managed hosting and can be incorporated with the Windows or Linux operating system. 1&1 has embraced this type of hosting whole-heartedly, offering multiple tiers of managed and unmanaged cloud hosting that can be outfitted with the Linux or Windows operating systems. The VPS offering from 1&1 provides the necessary tools for building a website that is capable of handling the rigors of the internet much easier than that of traditional web hosting. The Windows or Linux based servers can be outfitted with up to 8GB of RAM and 160 GB of storage as well as unlimited monthly data transfers. 1&1 has three dedicated hosting tiers which are Linux- or Windows-based these are Entry-Level, Performance, and Business Line. Entry-Level dedicated servers include 8GB of RAM, 1000GB of storage as well as unlimited monthly data transfers. Now, if you’re managing a website that doesn’t have heavy traffic, then these specs are fine, but for beefier CPU and storage options then I would suggest checking out the Performance or Business Line. Now, there are two ways that you can get WordPress up and running via the 1&1 server. You can either install WordPress via a standard Linux or Windows-based server you get through the web hosting plan, or you can opt to sign up for managed WordPress. All the plans include unlimited email, automatic WordPress updates, automatic malware detection as well as a curated list of suggested WordPress themes and plugins. So, the question is how do you set up a 1&1 hosted site and is it really that easy? A 1&1 subscription allows you access to 1&1 MyWebsite which is the tool that I used earlier to create my test site. WebsiteBuilder has loads of options, which I didn’t find overwhelming during my testing. I was asked by the tool to select the domain that I planned on using, punch in the title, tagline and footer information, select a site category and enter the search keywords. To make things extra snappy, I created a rudimentary Flash-based introduction that greeted any visitors with a welcoming text and also included a description so that should any readers unwittingly stumble across the site, they would know what it was all about. Another important business tool is Email marketing. So, it came as no surprise that 1&1 offers a dedicated Email Marketing Manager. This tool gives you a summary of your email traffic, distribution information, address management and loads more. It is included in the hosting packages and can send blasts to at least 100 recipients’. If you find that you need more, then upgrading is quick and easy. If you are selling products, then 1&1 Online Store allows you to choose numerous designs and layouts. This is not part of the basic web hosting plan but more of an ‘add-on’. During my testing, I did do a lot of dragging-and-dropping and adding of prefab elements but found that I could manually do most of my tweaks. Something that I class as being extremely important is security, and I’m pleased to say that 1&1 think so too. The hosting service includes a Geo Trust Dedicated SSL certificate (which is encrypted with website security to protect data exchanged between your site and users AND is FREE of charge with its server, Developer eShop packages, as well as Developer Shared Hosting. SiteLock is available as part of all the packages and is offered by 1&1 to protect your website from hackers, unauthorized access, and malware. SiteLock is able to scan up to 500 of the sub-pages on your website to discover the network vulnerabilities depending on what package you choose. If you decided to display the SiteLock Trust Seal on your website, then your visitors will be able to see real-time verification of the site’s security. 1&1 believes that SiteLock’s Trust Seal improves customer confidence so much that it will boost product sales by 10%. When I first logged into 1&1’s control panel, the thing that struck me was the sheer amount of upsells and advertisements that I was confronted with. The problem was that the ads tended to muddle up the control panels appearance, which in turn made it more difficult for me to find the features that I needed to access. If you are used to using cPanel, then you may find the 1&1 control panel a little difficult, to begin with. What I found, was that instead of making the developer features more prominent, the emphasis was on features that new website owners might find advantageous. 1&1's control panel, via WhoIsHostingThis. Scale bandwidthwith only one click. By paying extra for the 1&1 MyWebsite site builder, you will then be able to access it via your control panel. 1&1’s MyWebsite site builder, via WhoIsHostingThis. When you first create your website, you will be brought through a stunning onboarding process. Out of the many designs (which are industry specific), you will need to select a template, following this you will then be able to drag-and-drop elements into it and move things around to wherever you want them. Your own photos or choose from 1&11s free photos. We’ve all been there. One minute you’re happily working on your site, then it happens, something goes wrong, and you haven’t a clue what to do. If you have problems either with your hosting plan or you just need to ask a question, 1&1 offers 24/7 telephone and email support; they don’t, however, offer Live Chat. I think it is really important how a company’s customer service department responds to queries and complaints, so with that in mind; I thought I would test 1&1. I placed an afternoon call in the middle of the week and asked if there was any difference between the standard web hosting and the WordPress hosting that was offered by 1&1. In under a minute, the support person at 1&1 had fielded my call with the rep correctly stating that the WordPress hosting allows 1&1 to automatically update WordPress plus any installed plug-ins, something that those on a standard offering would need to manually handle. I did try out 1&1 email support service by emailing the following question “How do I import my existing WordPress.com blog into a 1&1 account?”. I received a response in my inbox within the hour that contained a correct and detailed answer. 1&1 also offers a 30-day money back guarantee, plus you can cancel the service at any time. 1&1's support channels, via WhoIsHostingThis. Now, if you prefer to find help on your own, then you will love 1&1’s Help Centre. They’ve really organized it well and have made the most popular topics highly visible. You can either search for your own help topics or narrow down your questions by using their simple categorization. Or ask other 1&1 users questions. TIP: Regardless of the plan costs all 1&1 customers can take advantage of phoning Customer Support at any time- regardless of what the plan cost is. As you can see from the table above, 1&1 does offer the main basic features of customer service via email and phone which are available 24/7. I also think that the extensive library of FAQs, tutorial, and articles that are on offer from 1&1 cover most set-up and maintenance issues associated with web hosting and deserve a thumbs-up. Now, although I did think that there were loads that 1&1 got right regarding their customer service, there were a few points that did niggle me a slightly. I often find that live web chat support is generally the quickest, most efficient and cheapest way of solving problems. It cuts out waiting for a customer support rep to email or pick up the phone. This is a fairly standard feature amongst many leading companies; however, it sadly isn’t one that 1&1 has to offer. Dare I say it, but sometimes things go from bad to worse when speaking to a support agent. Having used both phone and email support for the purpose of this review, what I found was that sometimes the support staff did not explain things in simple, non-techie terms. Don’t get me wrong, they were polite and helpful but to justify your time being spent on really effective support, I’ve found that ideally, you need to have a certain amount of technical knowledge, above that of a first-time website owner. This again confirmed my opinion that 1&1 is definitely a much better option for the advanced user rather than the beginner. 1&1's pricing tiers, via WhoIsHostingThis. As you can see from the illustration above, their highest price tier is the Unlimited Pro contract. This aims to provide THE BEST performance for all web projects that are resource-intensive. So, those were the basic plans; however, 1&1 does offer others, let’s take a look…. Hybrid Drive – what’s that? What this hosting plan will do is provide you with loading page speeds that are super-fast. It’s all down to 1&1’solid-state drives and their hybrid technology. Now, hybrid technology isn’t as complicated as it sounds, what it means is that both the website storage and web server are all kept in the same hardware, which ensures optimized performance as it lowers the processing time for the components of the server. This is usually only available on VPS servers or cloud hosting plans. This allows you to scale your performance at ANY TIME, all from your control panel. I mean, how much cooler can things get? But, that’s not all….1&1 is upping the game by offering shared platform scalability!! Logging into your 1&1 control panel. Click on ‘Performance Level’ which is located from the left sidebar. Your current performance levels will be displayed together with a bar graph showing how your website pages are loading using this level. To upgrade your performance, scroll down to the next section on the page. Choose a higher performance level. You will then see the price increase per month, per level. Click on ‘Purchase and Activate,’ and that’s it, job done and you’re good to go!! Check your current performance level, via WhoIsHostingThis. How to upscale your site's performance, via WhoIsHostingThis. We’ve had a look at the price of the plans, now let’s see what they have to offer. The basic package allows you 500 email addresses and 25 MySQL databases – this is more than enough to get a website up and running. The two other packages offer unlimited MySQL databases and email addresses. 1&1 carries out daily backups on your website and will also restore it free of charge should any files be inadvertently deleted or lost. 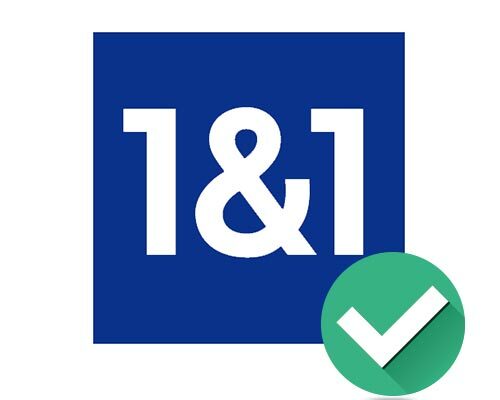 As well as the standard security features such as spam filtering, 1&1 does have more advanced tools that will keep both you and your customers safe. Any personal information or transactions that your customers share on your website is secure due to the shared SSL encryption. 1&1 has solid-state drives (SSDs) and secure shell (SSH) protocol. The SSH protocol lets you access other computers via your website, which is useful for customer service inquiries. SSD ensures faster more uptime for your website as it has faster load times. There are several app integrations covering a wide selection of programs, which include WordPress and e-commerce solutions. You will receive a free domain name when signing up, for the first year of your contract. After that, domain names cost $19 per year. Although this seems like it works out cheaper once the 12-month term is up, when you compare the limited amount of resources and features that are offered, it does point to being most suitable to those who are looking to create a small, single website. Compared with the others that offer unlimited storage and bandwidth AND have the ability to create multiple websites, I think you’ll agree that the Basic Unlimited is the best option. That’s even before I mention that at £0.99p, this is most definitely the lowest costing I have come across for first term hosting anywhere on the web!! 100 x 2GB email accounts. Also included a free domain name. Remember: There’s also a free domain name included too!! I thought I would create an overview of what 1&1 offers, so you can easily compare it with others have to offer. 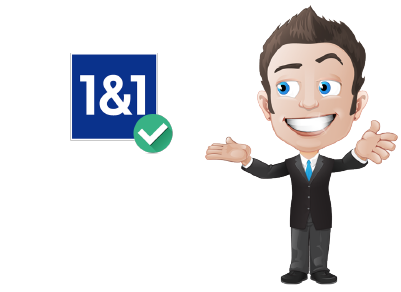 1&1 is perfect for beginners as it offers some of the cheapest web hosting options around today. Due to their scalable performance feature on ALL hosting plans, 1&1 is a brilliant choice for growing websites. Although 1&1 doesn’t provide full website migration services, they do provide a step-by-step guide to help you through the process of initiating a transfer. A small additional fee will be required in order for the 1&1 team to complete the transfer for you. Excellent – I’ll leave it at that. 1&1 provides their own, custom control panel to manage your hosting environment. 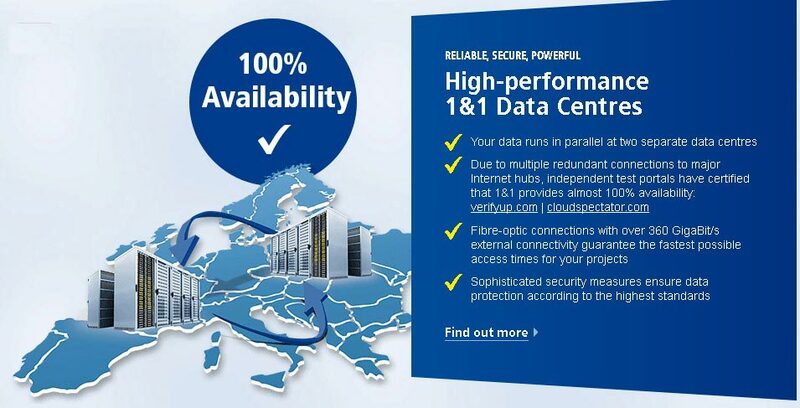 1&1 has seven data centers in Europe and the USA. Y0ou won’t however, be able to select your data center if using a shared hosting plan. Your 1&1 hosting plan can be canceled within the first 30 days for a 100% money-back guarantee. Simply call customer care, and a refund will be issued – no questions asked!! $0.99/month for your first 12 months – I haven’t seen any lower. Unfortunately, 1&1’s normal web hosting contract doesn’t include access to their site builder. However, at an extra cost, they offer their own 1&1 MyWebsite site builder. Yes, but only on dedicated servers or Virtual Private Servers (VPS) that have been customized to be PCI compliant. Remember: Credit cards WILL NOT be able to be processed if you are on managed server plans or shared hosting packages. Safeguard a safe exchange of information between your website and its visitors. Well, I’m now nearing towards the end of this review, and I hope that it has given you an overall idea what 1&1 has to offer. I guess the final and most important question is – Is it THE ONE, what I mean is for YOU and your WEBSITE? 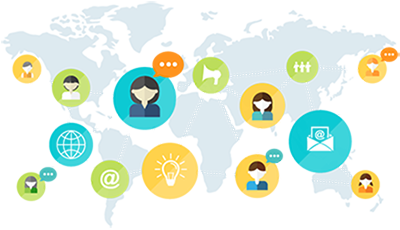 As we have learned, 1&1 offers low-cost hosting together with easy email setup, website building, and domain transfers. However, keeping this in mind, my opinion is that some of their features could benefit from a little more flexibility and the uptime could be improved. 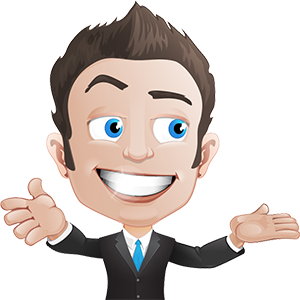 For those who are looking for the crème de la crème of website building tools and customers service, then I fear that you may have to look elsewhere. My feeling is that for newbies starting their first website or launching a new business venture then 1&1 would be a great choice. It’s ideal for both beginners and those who are expecting their data needs to grow, and by paying a little extra, the MyWebsite site builder will make your life so much easier. For full-on developers, I don’t think that 1&1 will be the right choice as they probably won’t offer all the features that would be needed – especially daily backups. With that said though, 1&1 is an affordable and rock-solid web UK hosting service, with plans packed full of helpful features including superb security options. With the highest performance levels and lowest costs within the industry, 1&1’s Basic Unlimited shared hosting is certainly a top contender for users who have either some level of technical knowledge or previous experience in managing a website. So, if you’re looking for a hosting solution close to home, you definitely can’t go wrong with £0.99p for a year of exceptional powerful website performance and uptime.